Last week's MPAA analysis of global moviegoing in 2017 was so overloaded with content that some key info was buried. With so much detail about percentages up and down – like up 5% to $40.6B in worldwide ticket sales vs. $38.6B in 2016, but down 2% domestically to $11.1B from $11.4B – it's easy to miss some valuable insights provided by the studios' lobbying group. The spotlight was on moviegoing's international strength last year -- $29.5B in ticket sales, up 7% from 2016's $27.2B – because that offset domestic's disappointing results. 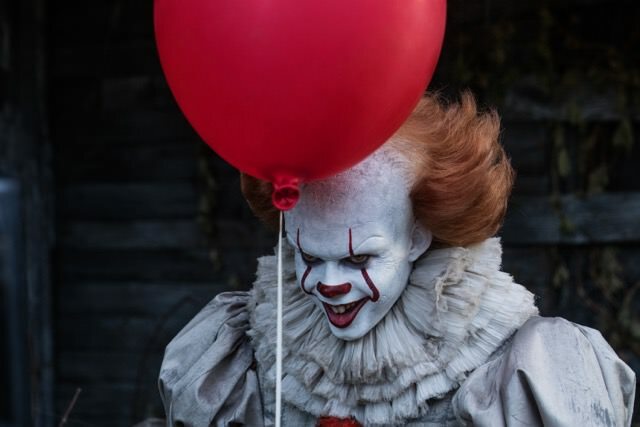 But what's really worth noting is that domestic's shortfall from 2016 was only about $300M -- and that would have been wiped out if Hollywood had had just one more blockbuster like "IT" (pictured), which did $327.5M, or managed to get an extra $150M in ticket sales from, say, two under-performers. So domestic would have been neck-and-neck with 2016 if "TRANSFORMERS: THE LAST KNIGHT" had done $280.2M instead of $130.2M and if "THE MUMMY" did $230.2M instead of $80.2M. Looking at it this way, the decline in domestic moviegoing appears to be something Hollywood marketers should be able to deal with. 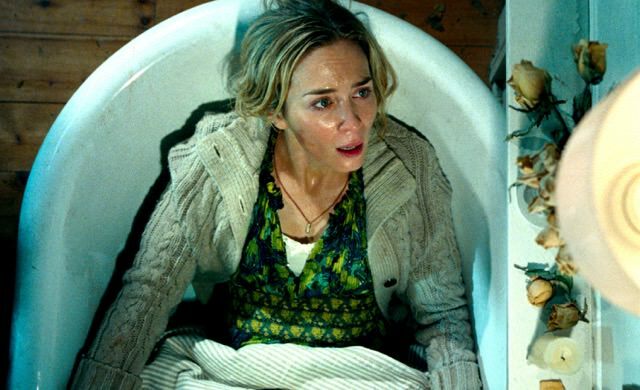 The boxoffice was a quiet place for most of March, but April's already making big noise with "A QUIET PLACE." The Paramount/Platinum Dunes PG-13 horror thriller opened last weekend to an over-performing $50M, proving again that moviegoers love being scared in dark crowded theatres. Hollywood handicappers were way off – first expecting mid-$20M business for the $17M production and then upping that to low-$30M's. The possibility of bigger numbers came last Wednesday from online ticket seller Fandango, which said "AQP" (pictured – Emily Blunt) "sounds like a surprise hit as it leads Fandango's weekend sales and Fanticipation movie buzz index with a loud and clear score of 84 out of 100 points." Another good sign -- 97% Certified Fresh on RT. "AQP" scored 4 out of 5 stars in comScore/Screen Engine's PostTrak audience survey. The exit polls, per comScore's Paul Dergarabedian, showed "a 60% definite recommend score" and a 51%M/49%F audience. Last weekend's ticket sales of $166M, comScore said, were up 38.2% from $122.1M last year when "THE BOSS BABY" was first in week 2 with $26.4M. 2018 is down 2.1% from 2017 vs. down 3.7% a week ago.